You Met Online?! | Then there were three.. When I first found out I was pregnant I found that I didn't have many people to talk to about it. I didn't want to be telling everyone I was pregnant before my scan and the ones who did know hadn't been through it themselves. I ended up joining an April 2015 online forum. This ended up moving over to a private Facebook group to make sure that we were all who we said we were. Now, almost two years on, I can hand on heart say that I have met some amazing women who I would call my friends. As you can imagine, we are scattered all over the UK and Ireland so meeting up can be difficult and requires months of planning. We managed to meet at the beginning of this year for the first time in Nottingham which was amazing. We now have more meet ups arranged this year for Manchester and Wrexham. One of the lovely ladies also only lives 40 minutes from me which is lovely. I just find it very narrow minded when people ask how we know each other; "through our babies", "oh so you all did classes together? ", "no, we met on an online birth forum" - this comment usually results in silence or funny looks. Why on earth does there seem to be such a stigma around online friendships? Just because I don't see these women every day doesn't make them any less of a friend to me. I may not see them all the time but I speak to them all on a daily basis, I probably know more about them than what their husbands do and vice versa. I know for a fact that I speak to them more often that what I speak to my friends who live within a ten mile radius of me. They helped me through being a first time mum who worried about everything to do with my baby, a lot of the time they kept me sane. But because I met them online it's strange? "When I was pregnant 9 years ago, I joined Bounty and virtually met others due in December 07 mummies to be. We all got along pretty much, we are from all walks of life, from all over the UK and some were even further away. We then formed a chat area on FB and to this day, 9 years later, we are all still together, chatting sharing our lives. We have met up in a central location a few times en masse and then in smaller groups or one to ones, one of my bump buddies is my younger daughters god mother now, we are all friends for life, from all walks of life, we had a 16yr old up to a 40+ yr old and age was no barrier. I am so very lucky to have the pdid07 ladies in my life"
" I have made so many friends through blogging, and although I might not see them regularly, we talk daily on social media, phone each other every couple of weeks, and they are the people I go to when I need support, or to share my achievements. 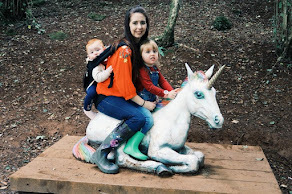 They've always got my back"
"Joining 'due in' groups on Facebook is one of my top tips for new parents - I couldn't be without mine! We chat constantly (and have done since we first discovered we were expecting), meet up, and have all become great friends"
"12 years ago I had agoraphobia but I was a member of lots of craft forums and made friends with lots of lovely ladies who really embraced me and without whom I wouldn't have made those first steps back into real life outdoors, one of whom I finally met last year and all of them I am still friends with, the Internet for all it's faults is a genuinely lovely place and I feel just as close to my internet friends as I do to real life ones"
From what these ladies have described, it seems to be that online friendships are becoming more "normal" and a lot more common. They are made through life events such as babies, work and like Mandy said, these friendships can really help with health issues too. I would love to hear other people's experiences with online friendships. 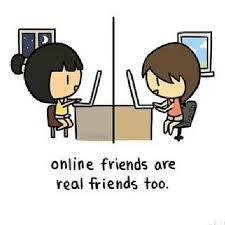 Have you made friends online? Do you find it strange? If so, why?